What happened to the Community Toolkit project? 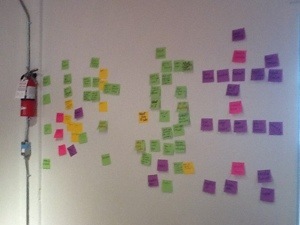 Last year many community leaders at Mozfest hacked the table of contents for a Community Handbook. Our goal was to take all the content, divide up the chapters and start writing on Github. Open wins when we share tools, tips and cheats to build community. This remixable toolkit aims to help communities and community builders learn best practises and remix tools, guidelines and resources. The emphasis is on practical, “grab-and-go” templates, worksheets and modules anyone can use quickly! The team set up a trello board, Hackpad and a github account. Then, while it would be simple to say life and work happened for the leaders, there is much more to this story for me. This project needs to live, but we need a few more hands and someone else to be lead dancer for awhile. If you and your team ever have these types of big items happen in your community, contact me. We are in this together to build open. I am your resource and support. For my Mozfest allies: This year for the first time ever I am missing Mozfest. I was there at Drumbeat and then all the next iterations. Living in Doha makes for a long trip and work has me head down on tasks. 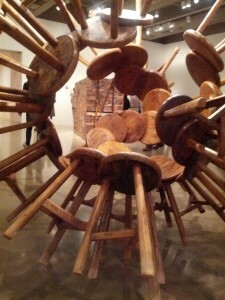 I miss the creative interactions and wonderment of hanging out with my open soulsisters and brothers. Truly, I can’t wait to see what you create. Happy Mozfest! When I think of open, I think global. A number of us have the privilege of collaborating on large scale global open communities. We all see the potential of combined efforts and dissolved borders/barriers to all our common success. What have we learned and what are the next steps? This week I’ve had the honour to participate in both the Mozilla Festival and the Open Government Partnership. The conversations have really distilled the question: what are we waiting for? OGP is a common language building forum for governments, business, civil society and the technical communities. Yes, we do have some different priorities and agendas. But let’s dream big then build it. Policy discussions should and must beget action. How can we get there for more open and very global communities? How can we better support each other? At heart, I am a maker. I need to see and be part of evidence and impact. There are open data portals and github repos. Yet, there is no master search of which open data and which code is available and remixable. This will help us build on The pain of duplication and vanity ware (creating software for the sake of “new” rather than sustainable, built-on efforts). We need this to help anyone build on the open source ethos. We need common standards in creation. This is not to stifle great new ideas but to end the “reinvent the wheel” model that is causing us to stall. If people can find the existing work, irrespective of country, perhaps we can build faster. I realize that software and data really counts on local needs, knowledge and language, but have we asked what are the common needs that we can remix. I ask: what are the top 10 software topics that we can focus on as open source communities and civil society communities collectively need or want? Can we use the power of agile software development to guide us? Last year I spoke with someone who apologized to me: “I received funding for x and even though it is duplication of efforts on existing software, we need the funding and have to do what they funder wants.” This conversation made me realize that the funding model also needs a shift. If we are funding without building on existing work and existing knowledge, are we regressing? Are funders funding only new ideas and potentially shiny ideas? Are the funders sharing data? Believe me I want to eat and really respect how hard it is to find the bright spots and the right things to fund. I am really learning as I go, but am struck with this dilemma. For those who lead in civil society and open source communities, including hackathons, are we encumbering the open growth? Leaders need to build on the open source methods, encourage good practices and encourage mission before branding. By means, fork the code/idea. Please. But, document and collaborate, be responsible and stop duplicating. Who are we serving and what is the real demand/citizen need? Sometimes we are not building priorities based on feedback and real people. And, sadly there are examples of chasing the shiny and quick without considering privacy and risk. Really, this is new ground and we are all trying to figure out the way to get there. The Crisismappers community created a community code of collaboration. What would a funder, civil society and open source community code look like for open government and open data? I propose that we build a code of collaboration beyond the policy aspects. Who is doing what where and how to collaborate? What can an open data hacker from Kenya teach someone in India? I’ve seen this power of global with Random Hacks of Kindness, International Space Apps Challenge, Mozilla, Ushahidi and more. We don’t see borders, we see and build on ideas and skills. At Mozilla Festival my colleagues at Wikipedia, OKFN, Creative Commons and others hosted a session about Building an Open Community. 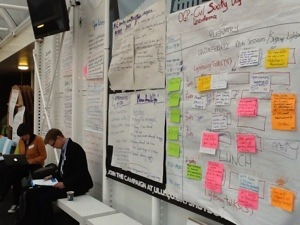 A followup session was held at the Open Government Partnership Civil Society Unconference. How can we keep the momentum of this? We need to continue to learn and share these ideas. Are there other examples out there? Often I am asked to do introductions to open community members around the world. 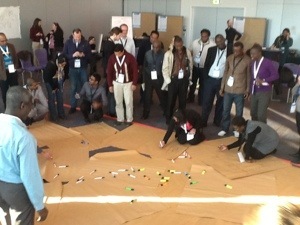 What I would really like is an open community footprint of who is doing what where? Apparently, the legacy icommons.org served this need. We build our open networks and relationships. Great. If communities shared their networks, best practices and commons goals, we could move this ball forward. 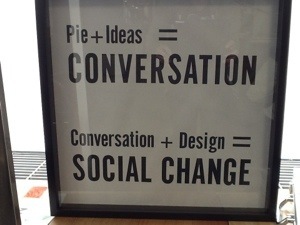 Who is already working on this idea, especially in the tech for good and social good space? Can we collaborate? My goal is to start finding and connecting all these leaders. We are stronger together as we teach and share. Thanks to my colleagues at Mozilla, OKFN, Wikipedia, Second Muse, Random Hacks of Kindness, Geeks without Bounds and Creative Commons. We’ve had a number of conversations in the past few weeks. In the spirit of open, some of you directly contributed to this text. (All photos are from events that I’ve attended or coordinated in the past year).